Fascinated by structure, Susan Marshall creates dances full of emotion and character, radiating a formal style that is classical yet emotive. Marshall thrives on opposition and dichotomy. Her works have an intrinsic balance between simplicity and complexity; large-scale and full-bodied movements versus gesture; the pedestrian and the abstract; narrative and non-narrative. Her choreography reveals a fundamental attraction to the realm of the visual in addition to the physical. This is apparent in her etching of detail as well as the artistry of pictorially satisfying staging. Marshall’s work stands out for the architecture of her choreography. Fascinated by structure, her pieces radiate a formal style that is classical yet emotive. Marshall uses repetition with subtly distinct variations to create episodic washes of exquisite dancing. She thoroughly investigates movement phrases, goading from them a range of permutations, all of which develop thematic ideas. After physically developing movement material, Marshall steps back to consider the template of the dance, designing provocative visual patterns to frame movement variations. In Marshall’s work, spatial relationships create as much content as the movement itself. Intricate partnering, laced with everyday gestures and replete with complicated groupings, forms the basis for her complex, layered choreography. Real life events serve as seeds for the abstractions present in Marshall’s work. The dancers are not just on stage as exquisite instruments of formidable actions, but as people who have very real lives, who suffer and celebrate, mourn and laugh. During the improvisatory process that contributes to the development of a new piece, Marshall draws on her dancers both for movement ideas and the sharing of personal stories. Through that process, Marshall shapes pieces full of emotion and character, treating potent subjects through a panoply of relationships that range from poignancy to brusqueness. Kiss (1987), made in part during a Creative Development Residency at the Pillow, has been danced at the Pillow both by Marshall’s own company and Hubbard Street Dance Chicago. In this work, the concrete and practical balance with the metaphoric. Rigging is apparent from the moment the audience walks into the theatre, with two heavy ropes dangling from the ceiling. Two dancers in harnesses twirl, wend in and out of one another, spin, and run. They are in the throes of much more than the kiss indicated by the title. Rather, it is a relationship—from the moments of great passion and euphoria where one feels weightless to those moments when one feels out of control and unable to stabilize, as well as the negotiation, the give and take. Since the mid-1980s, Susan Marshall has been known for an innovative body of work that blends virtuosic athleticism, ordinary movement, and gesture. She has long focused on multidisciplinary collaborations, now totaling more than 40 works made in partnership with musicians, visual artists, and designers. As one example, composer Philip Glass invited Marshall to work with him on Les Enfants Terribles, the final part of an operatic trilogy inspired by the works of Jean Cocteau. In addition to projects with her company, Marshall serves as Director of Dance at Princeton University’s Lewis Center for the Arts. The signature duet seen here was developed in residence at Jacob’s Pillow, and has since been staged on companies including Hubbard Street Dance Chicago and Pacific Northwest Ballet. 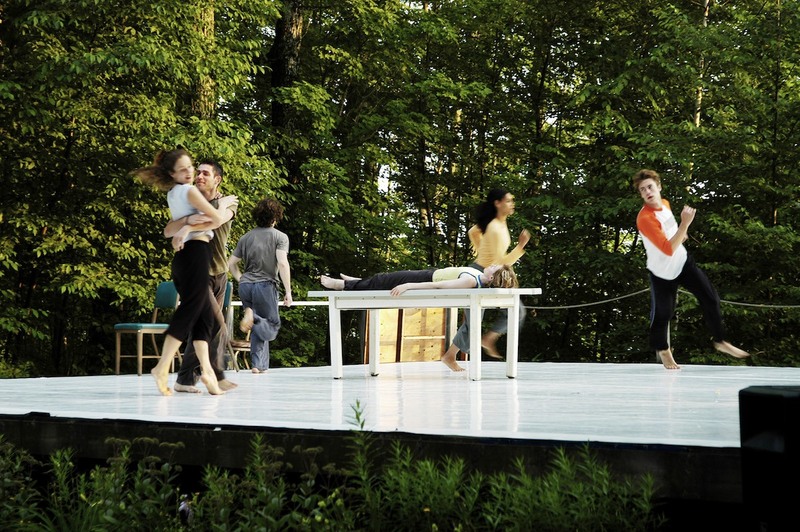 Another Marshall residency at Jacob’s Pillow resulted in The Most Dangerous Room in the House in 1998. Arvo Pärt, "Cantus in Memory of Benjamin Britten"
In The Most Dangerous Room in the House, seen at the Pillow in 1998, Marshall explored the use of spoken text, but not with the intention of creating a narrative. There is no one-to-one relationship between movement and text. The words serve as a counterpoint to the movement, enriching but not explaining the dance. Marshall worked with writer Christopher Renino to generate specific sensory images that Marshall related to movement. Marshall’s notion was that one could almost absorb the words through feeling them, much as one does when seeing movement, causing a sensory, almost kinesthetic response to the words. In 1994, she was commissioned to make Central Figure for the Lyon Opera Ballet. Performed at Jacob’s Pillow in 1997, the ballet is a haunting tribute to one of her dancers who died of AIDS, meditatively honoring his loss. After seeing her skill making dances with emotional content, Philip Glass invited Marshall to be his collaborator on the final section of his trilogy of operas inspired by the work of Jean Cocteau. While Marshall jokingly refers to her working with Glass as “playing with the big boys,” in Les Enfants Terrible (1996) Glass and Marshall were well matched. In this striking dance-opera, the central characters of Lise and Paul are danced by several people simultaneously. By amplifying the number of dancers who represent one character, Marshall gives embodiment to the multiple facets of each individual, demonstrating inner selves at odds with one another. With The Descent Beckons (1999), Marshall expanded her company by a comedian and 75 inflatable dolls. Not surprisingly, Marshall’s dances often allow for interpretation on several levels. For example, in her acclaimed work Contenders (1990), the costumes are reminiscent of gym uniforms or track-and-field wear. And while the costuming cues our interpretation, the rules of these sports are purposely enigmatic. It is not obvious who among the dancers emerges as victorious, and what that victory would be. Rather than merely relegating this dance to the world of sports, Marshall offers it as a metaphor for competition off the playing field. She draws our attention to the arena of relationships between men and women, women and women, men and men, where the rules often are equally unclear, the victories as dispiriting as the defeats. Her prowess for delving into movement material that illuminates the complexities of human interactions is equally apparent in her 1984 duet Arms. 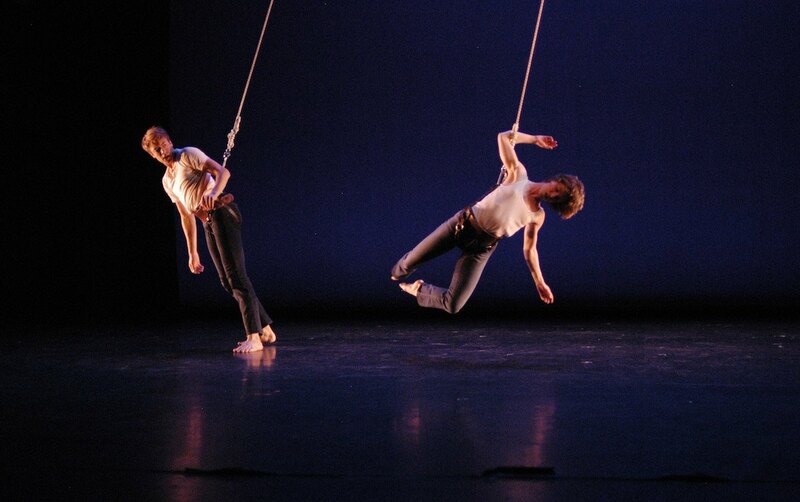 Restricting movement almost exclusively to the arms, the two dancers thoroughly test the full range of movement possibilities—rising, swinging, slashing, grabbing, and embracing—as a metaphor for interaction. With breath-taking timing and intimate spacing, the dancers embody an exploration of the peaks and pratfalls of a relationship. New York Times, July 31, 2005 The dancers developed movement inspired by Marshall’s ideas, and then Marshall shaped it, directing them in their explorations and finally crafting and shaping the overall piece. She has made more than 30 works for Susan Marshall and Dances, and has choreographed for opera and ballet companies as well. She has a long history with Jacob’s Pillow, beginning when she was a student in The School at Jacob’s Pillow at sixteen. Her company first danced at the Pillow on Inside/Out in 1987 and several times in the Doris Duke Theatre since then. 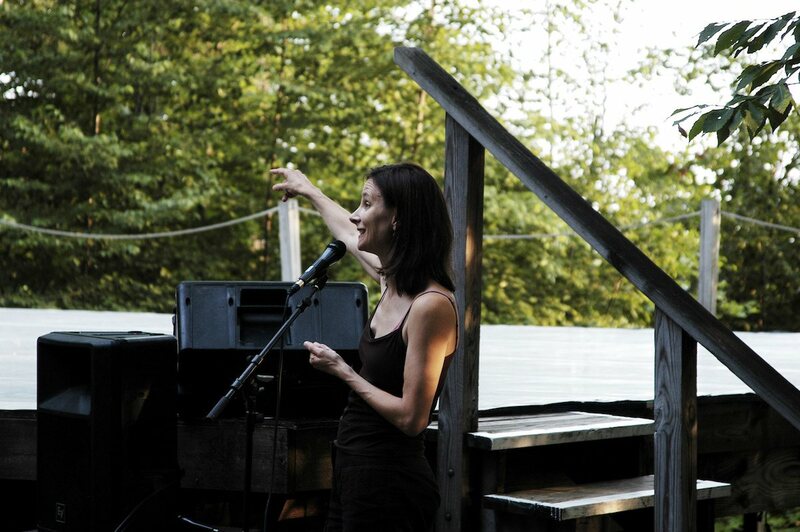 Marshall taught in The School at Jacob’s Pillow as the co-director of the Choreographers’ Lab in 2005. Susan Marshall started dancing late, in her estimation—not until her mid-teens did she start dancing seriously. At a PillowTalk called “From Studio to Stage,” Marshall said she was grateful to an early teacher who noticed her enthusiasm and perhaps raw talent. That teacher encouraged her despite what Marshall called her “limited training.” Since 1985, Marshall, her artistic collaborators and company members, have received numerous Bessies (the New York Dance and Performance Award) for their artistic achievements. Marshall received a MacArthur Fellowship in 2000.